Ursula K. Le Guin‘s Folk/Electronica Album Can Teach Us a Lot About Storytelling #SciFiSunday « Adafruit Industries – Makers, hackers, artists, designers and engineers! 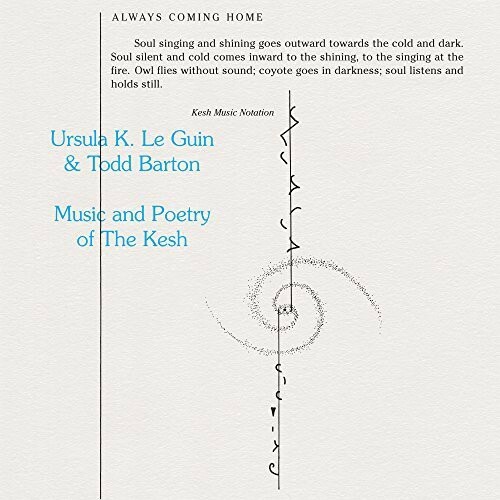 Great read from Erin Bartnett on Ursula K. Le Guin‘s 1985 album Music and Poetry of the Kesh, which accompanied the release of her book Always Coming Home, featured on Electric Literature. Le Guin’s novel Always Coming Home tells the story of the Kesh, a tribal civilization of people living in a California of the future, after an apocalypse so far in the past nobody can really remember it. Part of the novel tells the life story of a woman named Stone Telling, but it is also a giant assemblage of poems, maps, artwork, anthropological texts, plays, and music that illustrate Le Guin’s ability to make up a whole new world and its archive all at once.